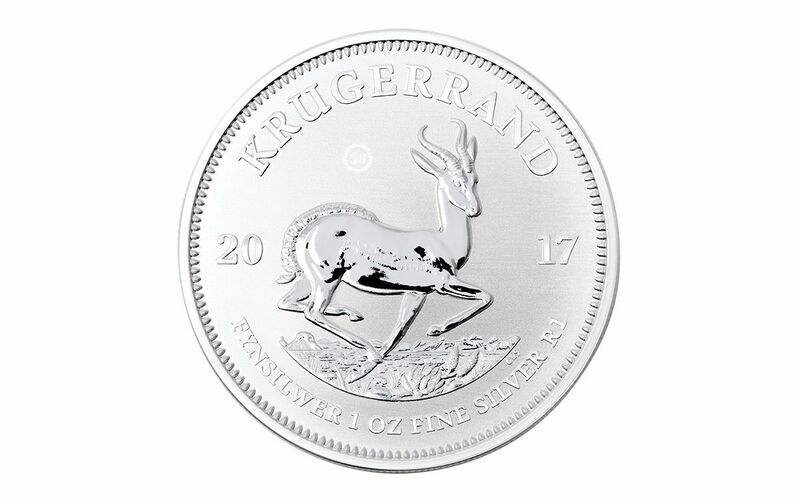 - Your coin will be graded Specimen-69 (SP69) by Professional Coin Grading Service (PCGS), a distinction that means your almost-flawless 2017 Silver Krugerrand will showcase an impressive full strike and indistinguishable imperfections -- well above and beyond the quality of the vast majority of coins in the series. In fact, many collectors prefer the SP69 grade since it certifies recognized collector status for just a small premium above ungraded coins. 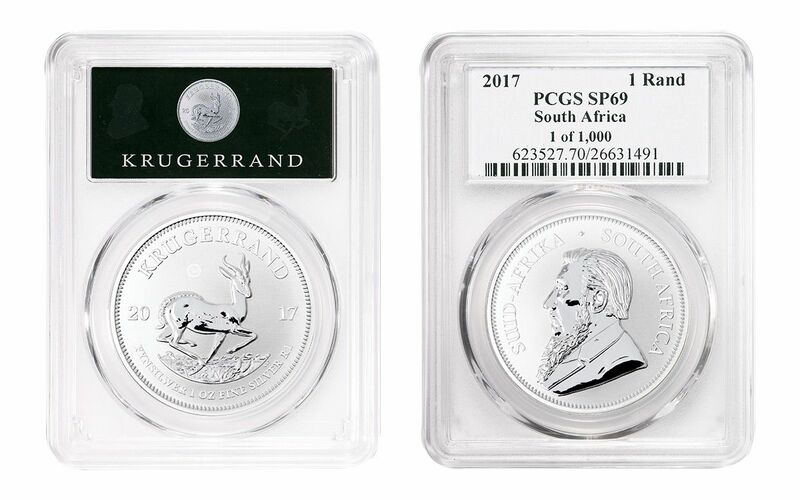 - Your 2017 Silver Krugerrand will also come with a stunning, PCGS-exclusive UV label -- certified as one of only 1,000 printed! 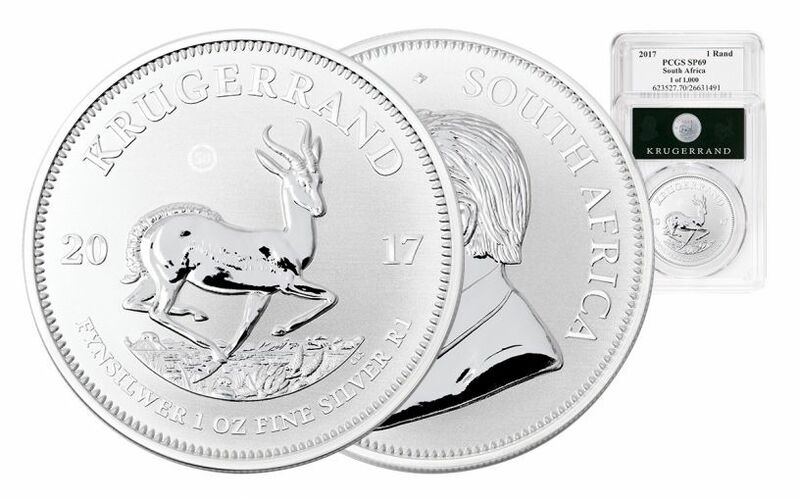 This mint-authorized label contains all of the vital information of your Silver Krugerrand on one side and a Krugerrand graphic on the other. However, more details are hiding on either side, ready to be revealed by an ultraviolet light. 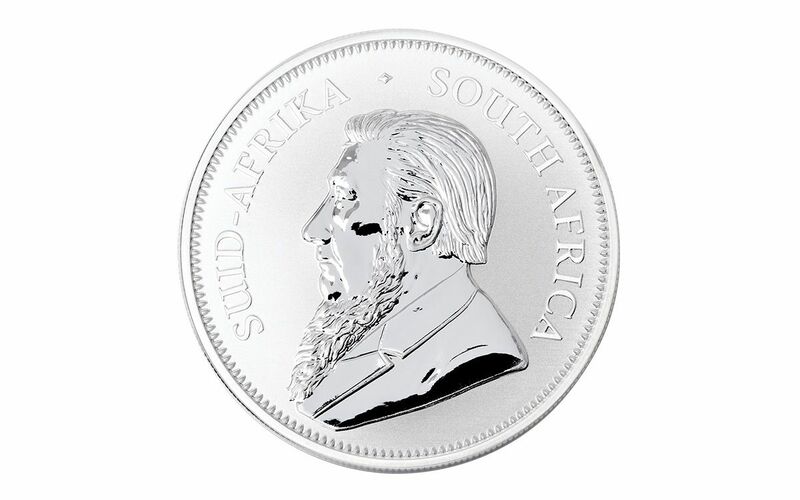 Shine it on the Krugerrand graphic, and you'll discover silhouettes of both Paul Kruger and the iconic springbok. Light up the other side, and you'll see two reproductions of the 2017 Silver Krugerrand's special 50th anniversary mint mark. No UV light at hand? No problem! A special ultraviolent pen light is included with each coin! - In addition, your coin will be sonically sealed in an acrylic case, giving you the best in protection while granting clear sightlines into every beautiful detail. - Finally, your 2017 Silver Krugerrand will be accompanied by an official South African Mint certificate of authenticity. GovMint.com is the EXCLUSIVE North American distributor for this first-ever 2017 Silver Krugerrand. However, while the Krugerrand has never been struck in silver before, once the 50th anniversary is over, it may never happen again! Order now, or miss out on what could be your first and perhaps ONLY opportunity to add one to your collection!